I would imagine that San Marcos, California doesn’t show up on many preferred vacation lists. It is just some random city in Southern California. 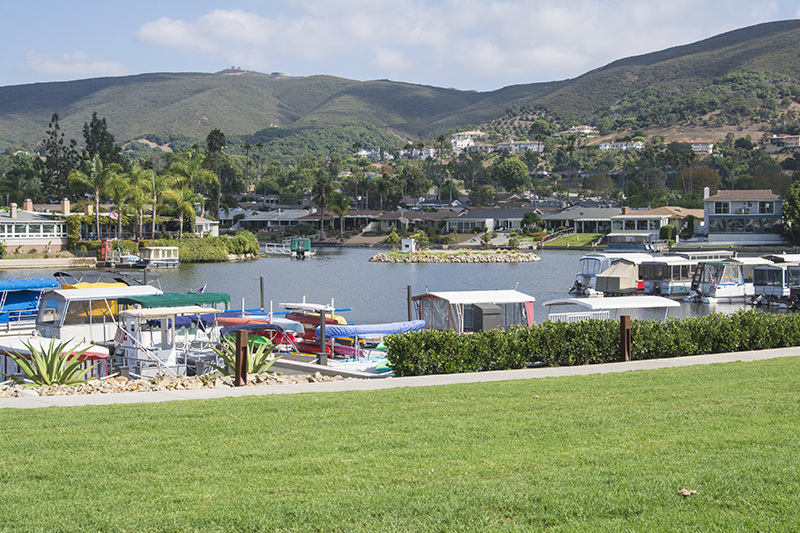 However, it does have a lake and would you believe that it has a resort that was named in the top 25 hotels in the U.S. by Trip Advisors in 2014? For us, it is more of a staycation, a one day visit that will take us off the beaten path to not one but two lakes, although one of them only covers about five acres and probably barely shows up on a map. 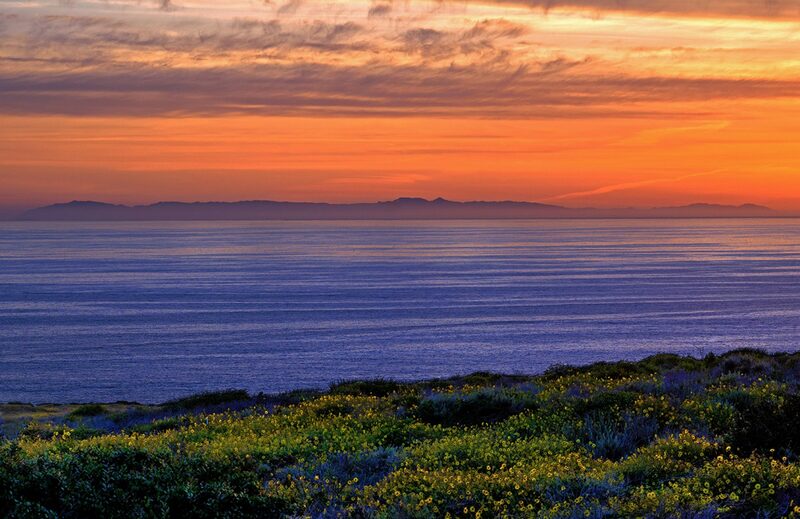 The town of San Marcos has a population of about 95,000 and is situated in the North County part of San Diego County. 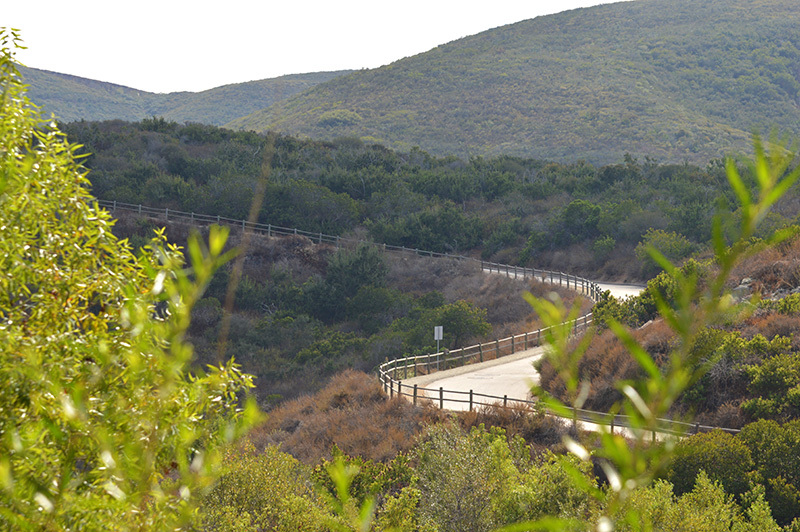 It is home to the illustrious Cal State San Marcos University and Palomar College. There are plenty of modern shopping centers in the area plus a few stores only exclusive to San Marcos. I’m talking Fry’s Electronics where you could browse the television section for hours or gaze at the giant fish tank that greets you when you walk in the door. The other is, the eclectic Hobby Lobby which is right down the road from Fry’s and where you will find all sorts of decorations for the home or patio plus brilliant ideas if you are so inclined to be creative. There are not that many of these arts and crafts stores around Southern California, so San Marcos does have one up on the other cities in the area. Just off of San Marcos Blvd sits Old Restaurant Row which features 14 different eating establishments and a huge movie complex. From Sushi, to hot wings, to Mexican and much more, you should be able to find something good to eat! 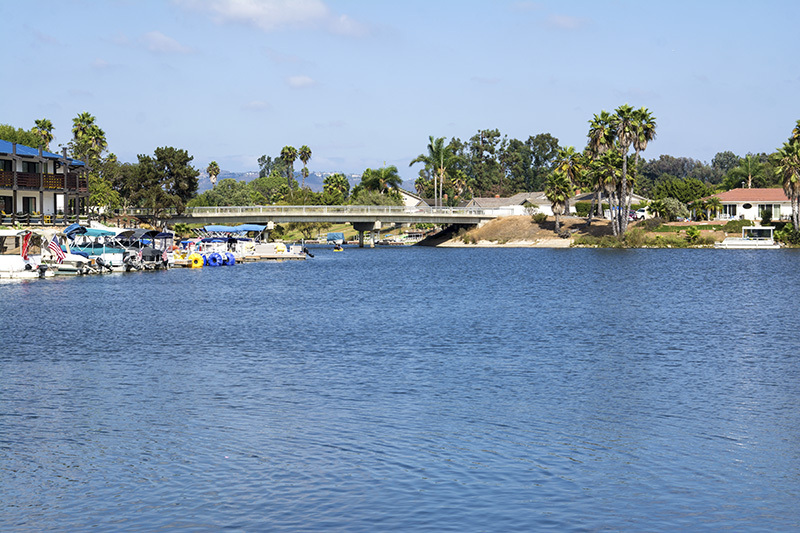 Away from the restaurants and the shops, we decided to head off the beaten path to visit Lake San Marcos and Discovery Lake. 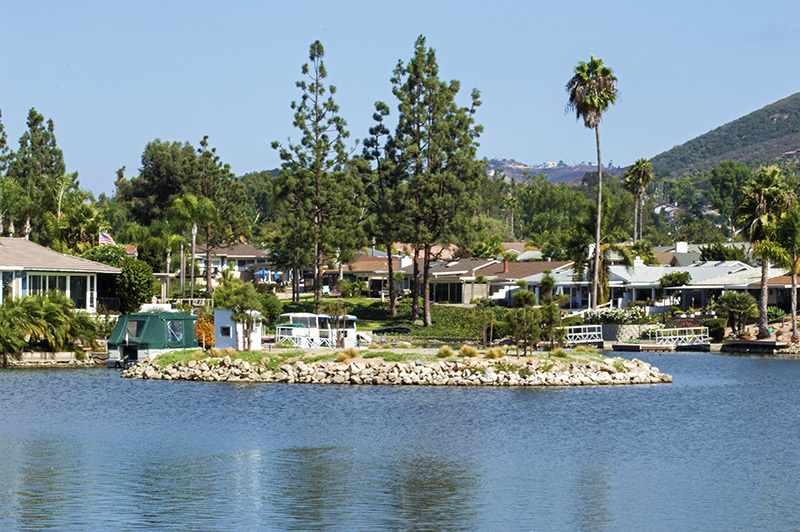 Discovery Lake is a small lake right in the middle of a residential area. Just off of the 78 freeway, you will have to use your GPS to find it, as it takes you through a neighborhood of homes until you end up in front of the parking lot. You don’t even see the lake until you get out of your car and walk a little. 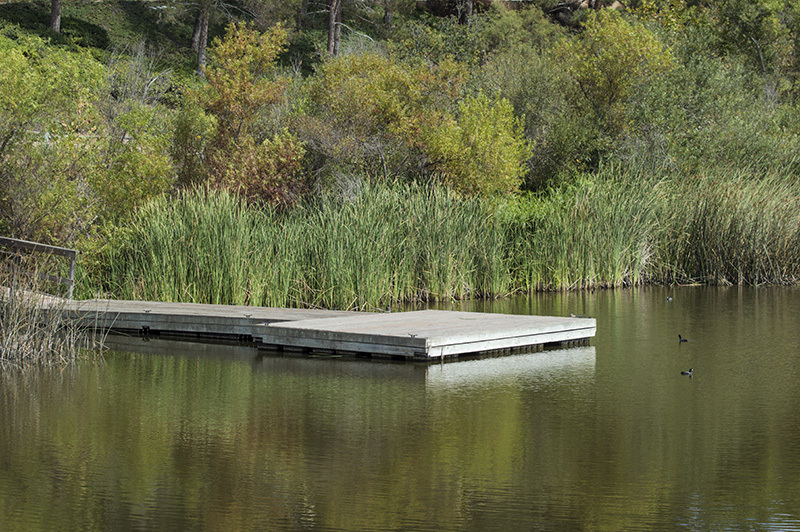 This five-acre lake is surrounded by a park plus hiking, biking, and walking trails. Dogs are allowed with a leash. 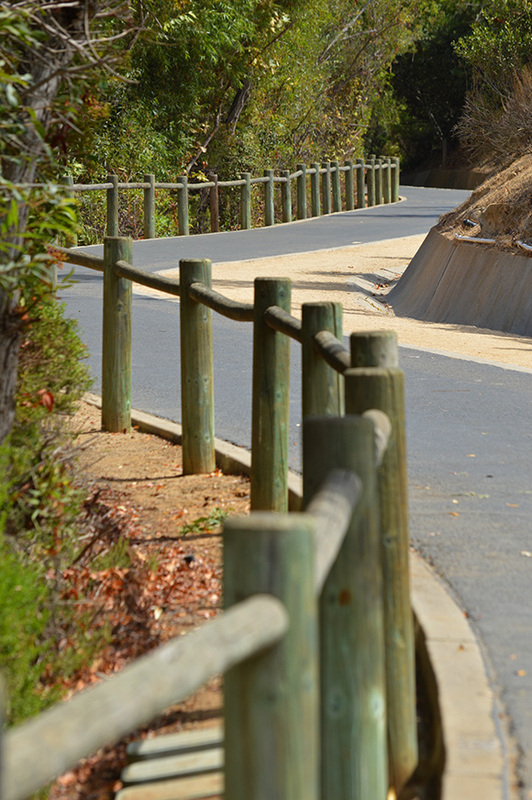 The trails around the lake are paved and make it really easy for all fitness levels to enjoy the scenery. There are other trails spread out beyond the lake with some that extend higher into the hills. If you huffed and puffed on the lake trail, maybe you will want to stay away from those. 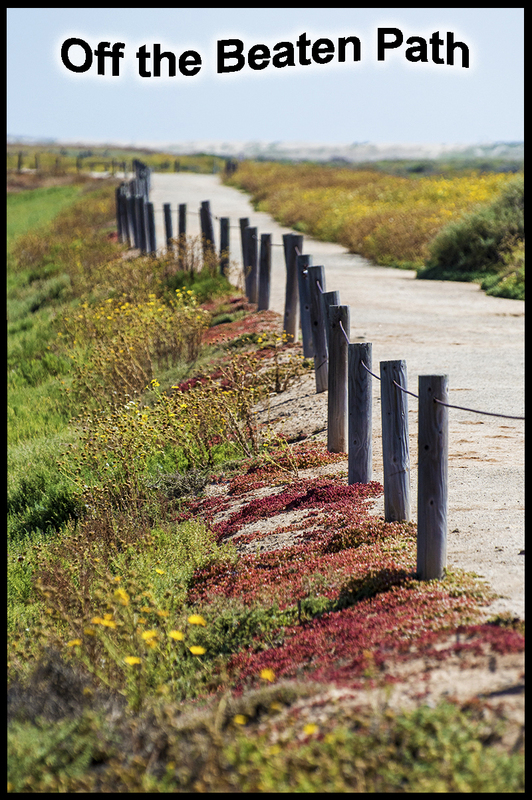 The paved trails make it so easy to walk with your family, dogs, kids in strollers, and wheelchairs. 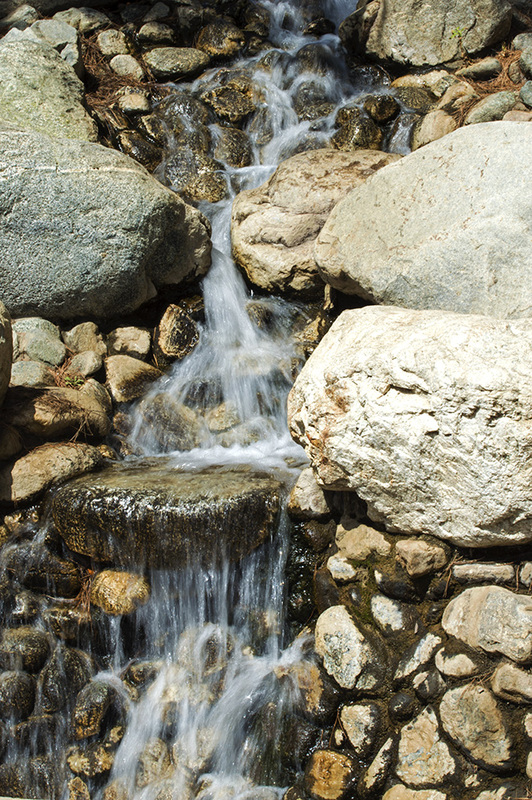 There is also a well maintained park with bathrooms nearby and a few benches to sit back and enjoy the scenery and the serenity. If you close your eyes you’ll hear the pleasing chirping of birds, the wind rustling through the reeds, and ducks flapping around in the water. It is so peaceful you could take a nap right there at the bench. The only thing to pull you from your reverie is the cracking of gravel as someone walks by fresh off their hike or the sounds of children playing in the distance. As we first walked up, we saw a young man pulling up a small fish which he promptly threw back. There are some fish in the lake but they do have a catch-and-release policy. No swimming or wading is permitted and boating of any kind is not allowed, but there is a dock for fishing or to simply get closer to the numerous species of birds, ducks, and mallards. If you like to get next to nature, this is a great place to visit. 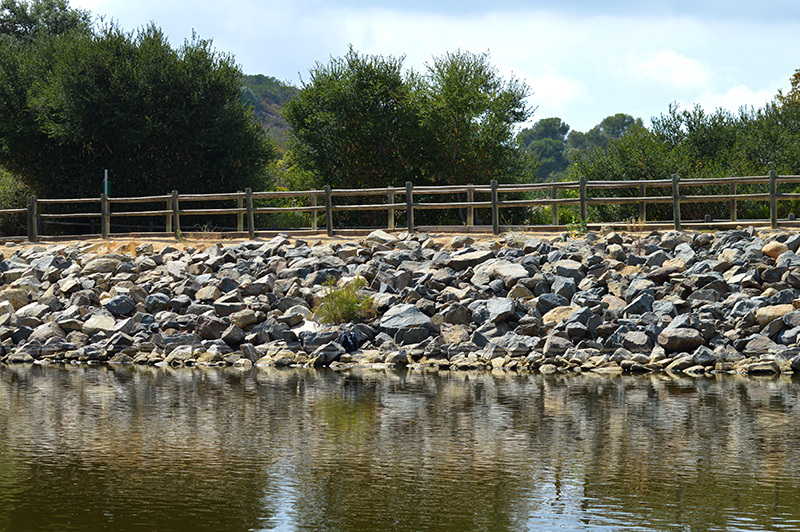 Coming in at 80 acres, the much larger San Marcos Lake has a whole different feel. 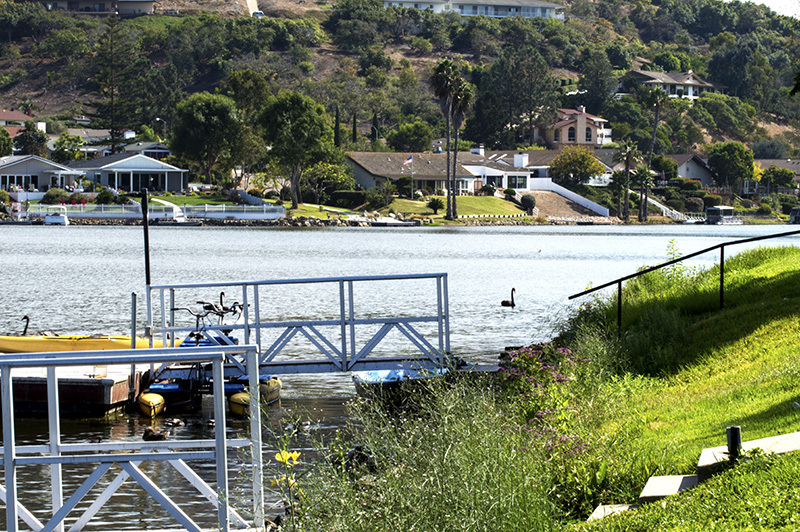 The only resemblance is that this lake is also surrounded by homes, all 2,300 of them. Even though that sounds like a lot of homes, they are spread out and there are still empty green hills in the distance. The Lake House Hotel & Resort sits right at the edge of the picturesque lake and as mentioned above, was named in the top 25 hotels in 2014. 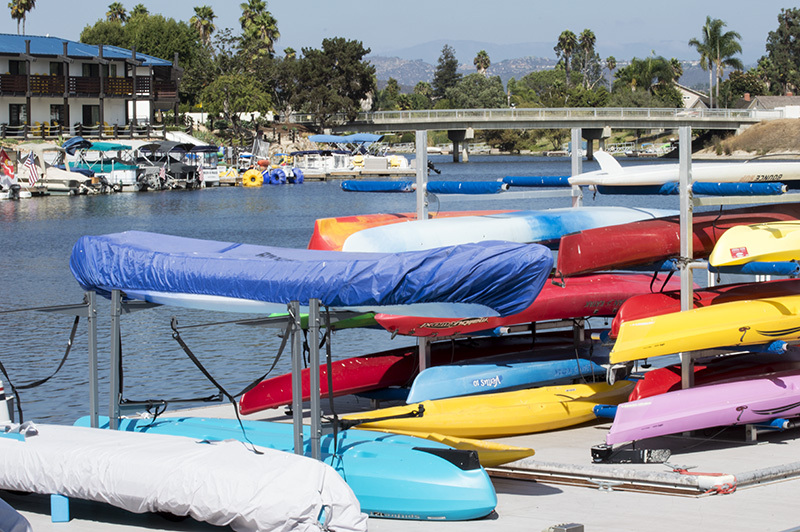 While staying at the resort, you can rent kayaks and paddle boards, or try your luck at fishing. It also features a restaurant and bar, two pools, hot tubs, fire pits, spas, and tennis. There are also a few golf courses nearby. The Lake House Resort sits right on the lake. 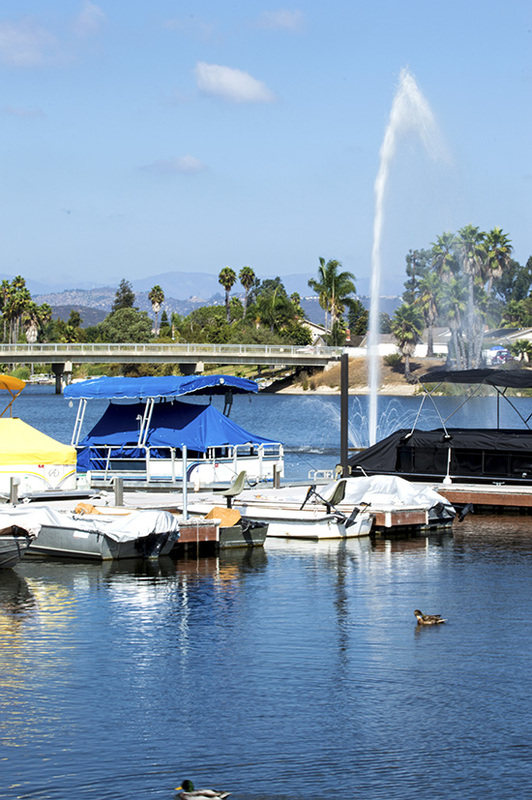 The lucky residents around the lake get to enjoy the place year round but visitors can also take advantage of the offerings in the marina with boat rentals and sunset cruises. 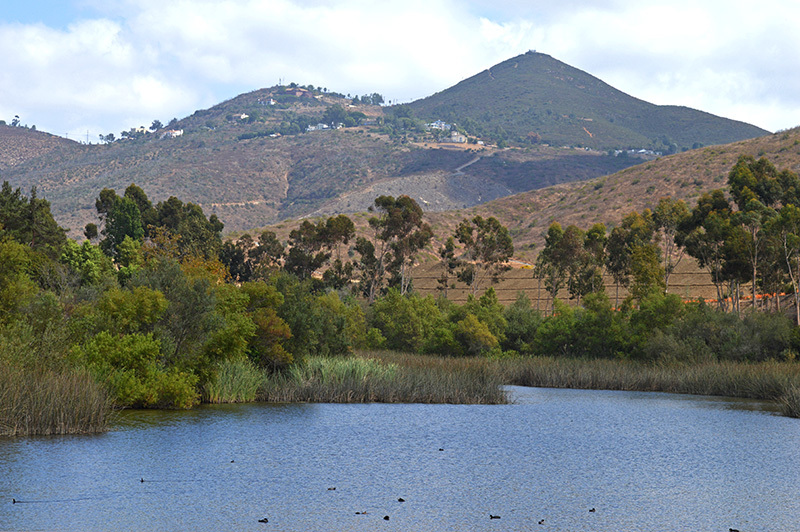 I don’t want to mislead you as Lake San Marcos is not a huge lake, in comparison; the nearby Lake Hodges is over 1,100 acres. 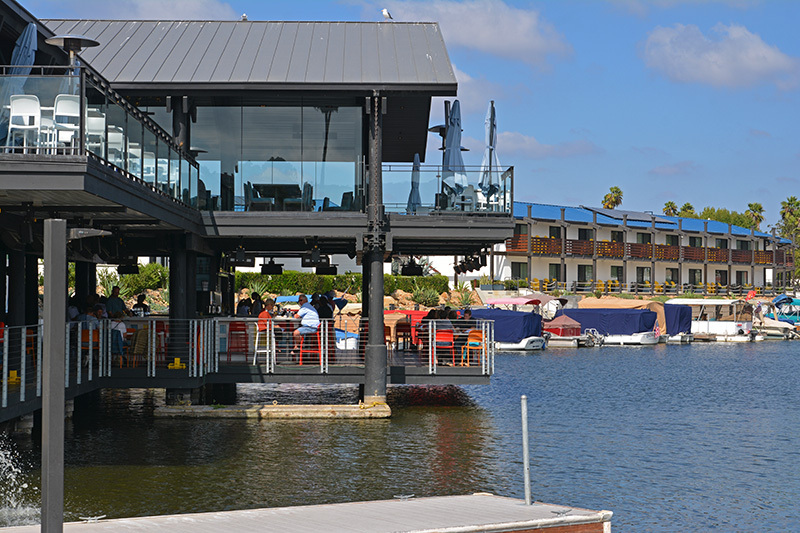 A new addition to the lake is the arrival of the Decoy Restaurant and Dockside Bar. 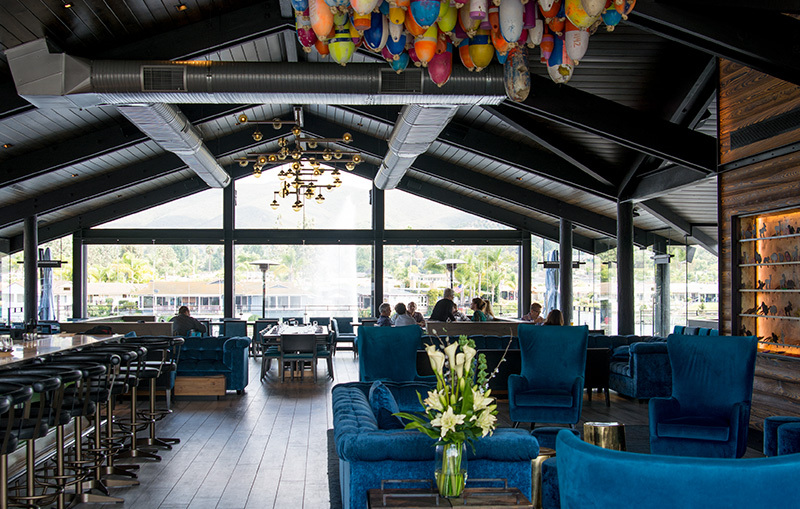 This two-storied eatery provides serene lakeside views from both its elegant dining on the top story to casual dining and bar on the lower patio. Near the resort sits a little walk-way with benches where you can sit down to enjoy the stillness and quietude of the lake. 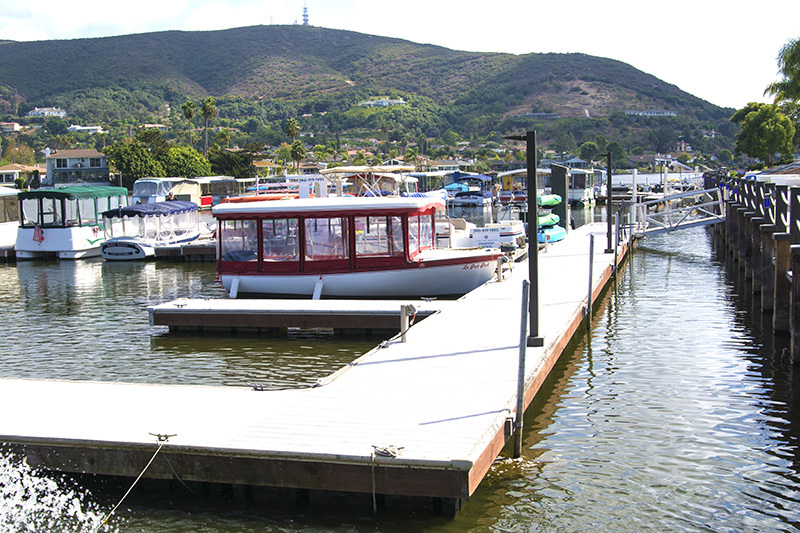 Unlike Discovery Lake, boats are moored on docks and homes are lined up close to the water. There were a couple of high streaming fountains in the middle where ducks, mallards, and beautiful white swans were continually swimming by. It was a quiet scene only interrupted once in a while by the terrible playing of a trumpet nearby. Was someone learning how to play? 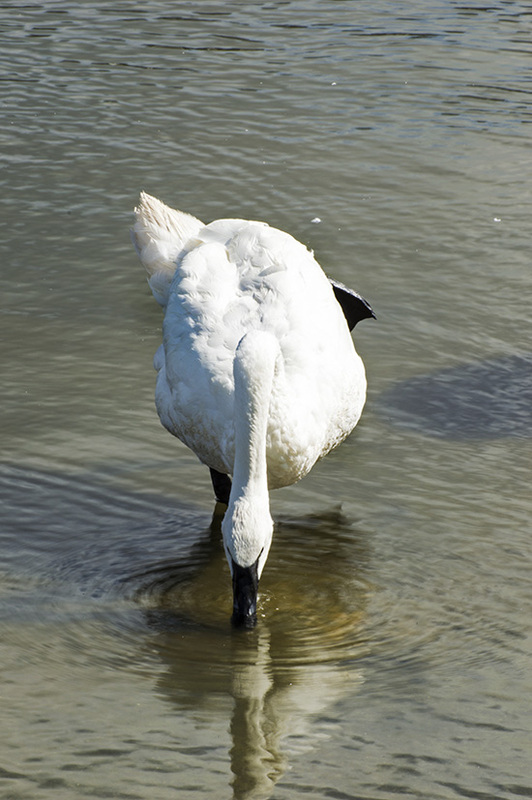 On further inspection it wasn’t a trumpet, it was a deep resounding noise coming from the white swans who were calling out for who knows why. They bobbed their heads up and down and then emitted a honk just like the instrument. This time it didn’t seem as annoying since I discovered that it was a sound of nature, not the man-made blowing of a beginner musician. As I was leaving the lake, I thought how nice it must be to live there. I would buy myself an electric boat for cocktails at sunset, and tool around on a paddle board during the day. A nice retirement place it would be! Maybe even learn to play the trumpet since you couldn’t tell if it was me or the swan. It seemed like a great life. So back towards the freeway we headed. While passing by the large Fry’s building I gave a quick thought if I needed anything, sadly the answer was no. Just as well, if I stopped, all I would want to do is buy a larger TV set. It was a nice day in San Marcos, a perfect and leisurely staycation. 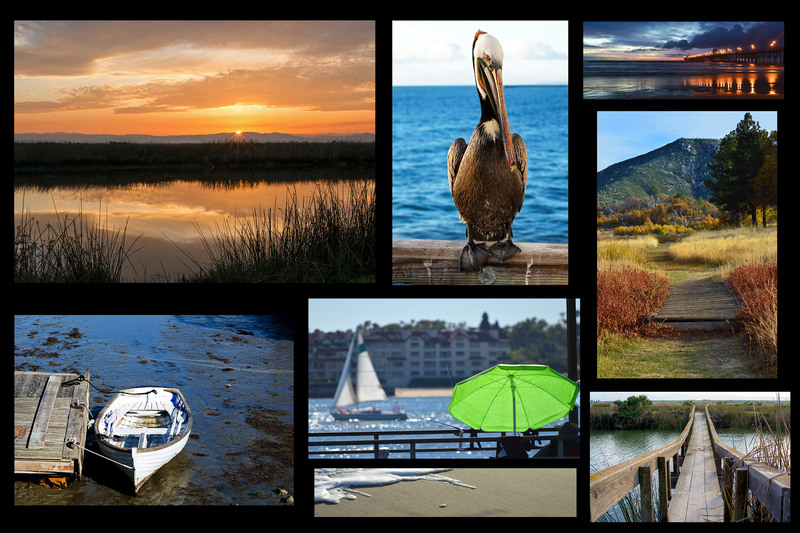 Even if San Marcos isn’t on your list of places to see, stop by some time and check out the shopping, the restaurants, and the lakes. Definitely a good Sunday drive, especially if you go take time to go off the beaten path like we did.